i rock paper and scissors: Love This! Here's a layout I made for Scrapbook Daisies, my local scrapbook store, using the "Find Your Wings and Fly" collection from My Minds Eye. The paper pieces behind the photos were all from one sheet of paper, so I only used 2 pieces of patterned paper, and 1 piece of cardstock (for my title) to make the layout! Well, the weekend is finally here. Can I get a little woo-hoo!!! This is gorgeous!! I loveeeeeeeeee that banner with the sequins!!!!!!! 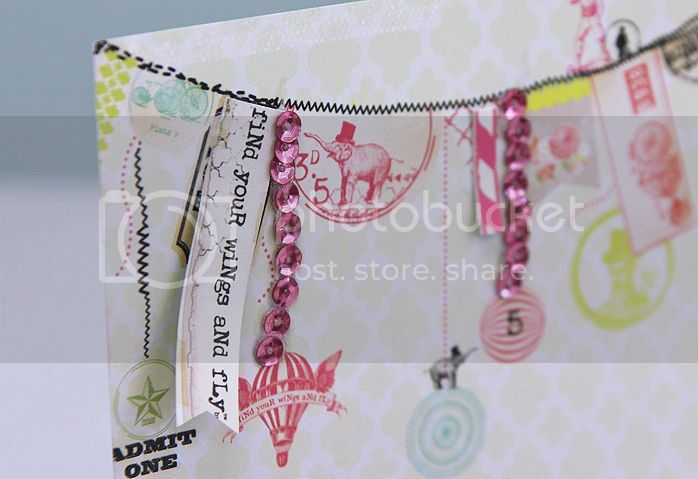 I adore this paper collection and I love the way you embellished it! Nice Layout! This is gorgeous, Mary Ann! 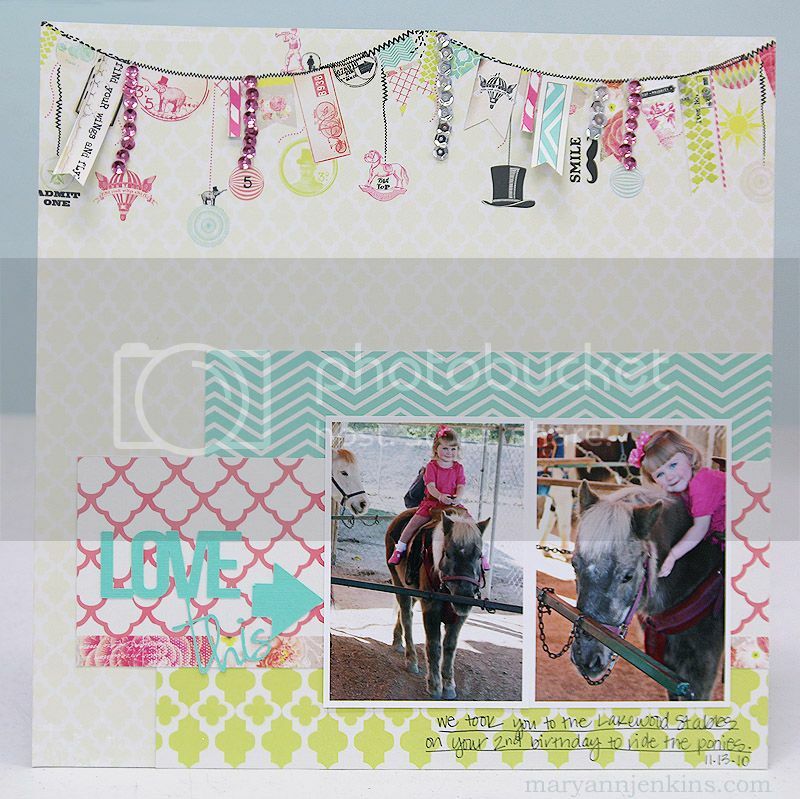 Love that banner you created along the top of your layout!